It’s taken a few years but Apple has finally improved Siri’s functionality enough that ‘she’ can be used as a real productivity tool now. I use Siri almost every day to read things out loud to me as I multi-task. I’m beginning more and more to use Siri for dictation too. In this post I address several problems I’ve encountered while using Siri for these tasks. The first, getting Siri to properly pronounce certain words works 90% of the time. Another 5% is addressed in the dictation tip I recently added towards the bottom of this article. But there’s still a few situations that continue to elude me. An example is when Siri reads out loud and encounters the word ‘read.’ Since this can be pronounced differently depending upon the tense…I haven’t yet figured out a way to get Siri to differentiate this pronunciation correctly. So, if anyone reading this knows the answer to this problem…I’d be forever grateful if you’d leave the answer in the comment section way down at the bottom of this page! Another update I just added for 2017 is something else that has frustrated me in the past. How to get Siri to spell out a word while dictating. The solution isn’t really a simple one…but it’s a work-around that does work. You’ll find that answer down towards the bottom too in the October 2017 Update section. ios 10 includes a much desired feature update that’s received almost no press so I decided to write a short post about it. For years Siri has been mispronouncing words. Everything from proper names to plain old simple words like ‘magazine’…but there hasn’t been a good way to teach her the correct pronunciations up until now. When ios 7 first came out, Siri received a minor upgrade which allowed users to teach ‘her’ how to pronounce proper names. I guess for people with unusual names this was great! But for the other 90% of the world this upgrade was pretty insignificant. Not only that, but it wasn’t easy to accomplish! Try as I may, I couldn’t figure out how to use that enhancement on a larger scale…with regular words. Here’s a link to a good article that describes how to teach Siri to learn to speak proper names correctly. Who Might Benefit the Most From This New Feature? Well certainly anyone who uses ios’es accessibility features will…especially those with visual impairments. As I’ve written about a couple times previously, I use Siri a lot to read things out loud to me. I think that this is where there’s a much larger audience for this feature enhancement. As Apple has continued to improve Siri’s voice, making her sound more and more natural, I’ve noticed that more and more people have begun using Siri for both typing (dictation) and reading hands free. I suspect that anyone who uses tts or ‘text-to-speech’ by having their ios devices read things out loud to them will love this new feature. Nothing is more annoying than listening to Siri reading something to you and consistently mispronouncing the same word over and over again. Why do I use tts so much? It’s a great way to multi-task by getting boring chores done while keeping up with tech news, proof reading posts…you name it. It’s a feature that like Evernote, has changed my life! My husband uses Siri to read things out loud to himself while he’s driving…which is a lot! He’s slowly warmed up to Siri as her voice has grown to sound more natural…but those mispronunciations really bug him! Go to Settings – General – Accessibility – Speech (under the top category Vision) and scroll to the bottom of the screen to see Pronunciation. Or you can just type ‘Speech‘ into the search bar in Settings and select the top search result. Type the word you want to correct in the field labeled ‘Phrase‘ then tap on the microphone and say the word correctly. Sometimes Siri will immediately repeat the word and other times you’ll need to tap on the word ‘Play‘ also in the upper right-hand corner. This is your opportunity to see if Siri pronounces the word correctly now. If she does…great! You’re all done! If she doesn’t a little tweaking might be necessary. You can do this one of 2 ways…or try both if the first try doesn’t work. The first method is to try and just tap on the incorrect syllable and speak it again. It can take a couple of tries for Siri to get it…but oftentimes this method works. If it doesn’t, you can try typing in the phonetic pronunciation of the syllable. This too might take several try’s…but between using a combinations n of these 2 methods so far at least, I’ve been successful getting Siri to speak the words that bother me more accurately. It’s not a perfect system yet…which may be why even Apple hasn’t highlighted this new feature to the world yet…but it generally works for me! With the advent of ios 11 Siri now has a new, more natural sounding voice and cadence. But some of the old frustrations in using Siri remain. I’ve begun using Siri more frequently to dictate things. While this can be a big time saver in some instances…other times it can become an exercise in futility. I’ve often thought that if I could just spell out certain words all my problems would be solved. But I’ve never been able to figure out how to do that. As luck would have it I just accidentally found one piece to the puzzle today, and while adding that to my notes, found another missing piece which, when combined with the first will make my life much easier when dictating. 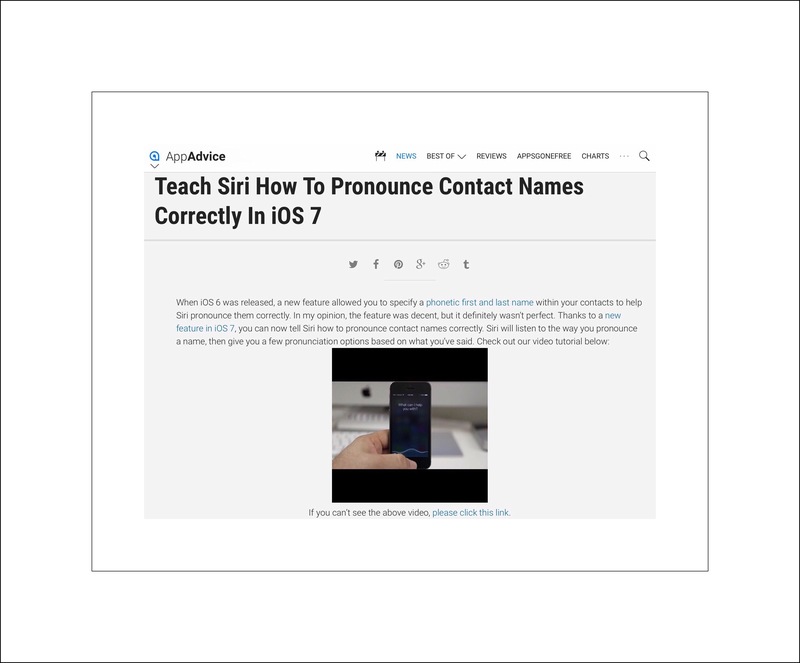 I ran across this blog post which includes a great video demonstration on how to get Siri to spell a dictated name correctly. 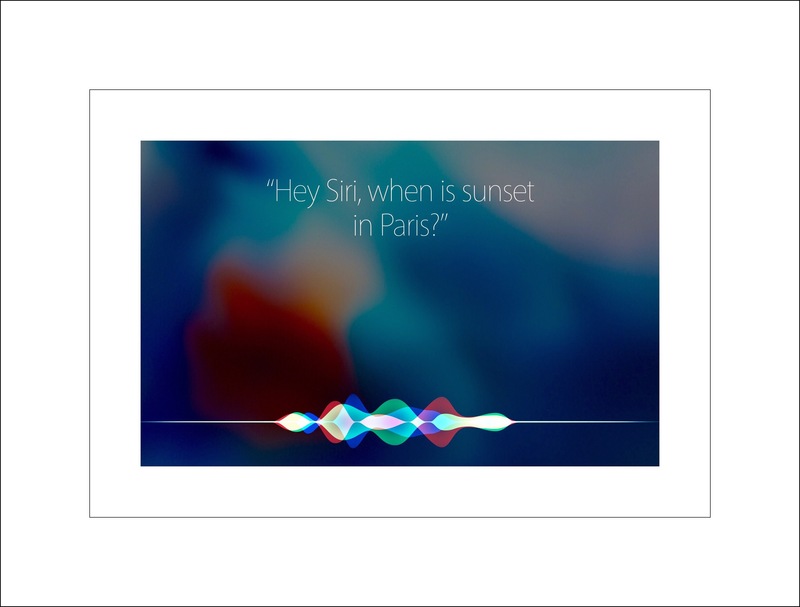 Last year I wrote a short post about some of the new things Siri could do. Apple included more in ios 10. 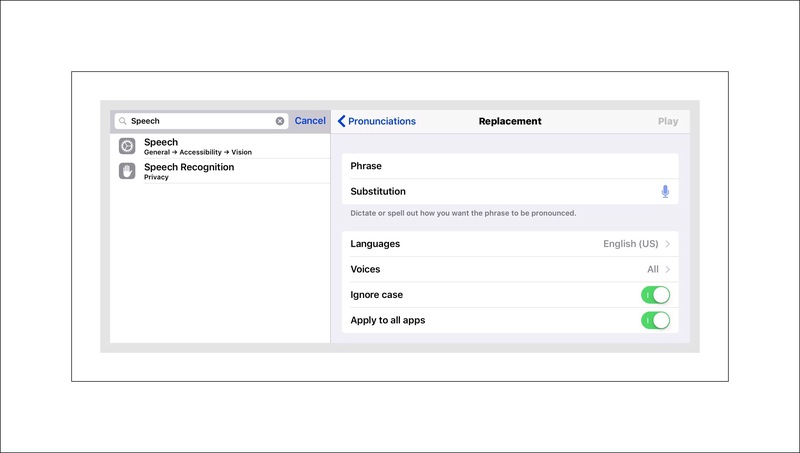 The screenshot below shows some of Siri’s new features and ways to use Siri as your virtual assistant at the  website. ios 10 includes another useful Siri feature…the ability to use Siri to announce phone callers. You can read my short post on how to set that up. Here’s a link to one other good post I found that describes this new feature as well as a few more cool new accessibility features too. Sometime after ‘Hey Siri‘ became popular I had a rude awakening…TV commercials could set off Siri…usually scaring me in the process. I made this short YouTube video about it. 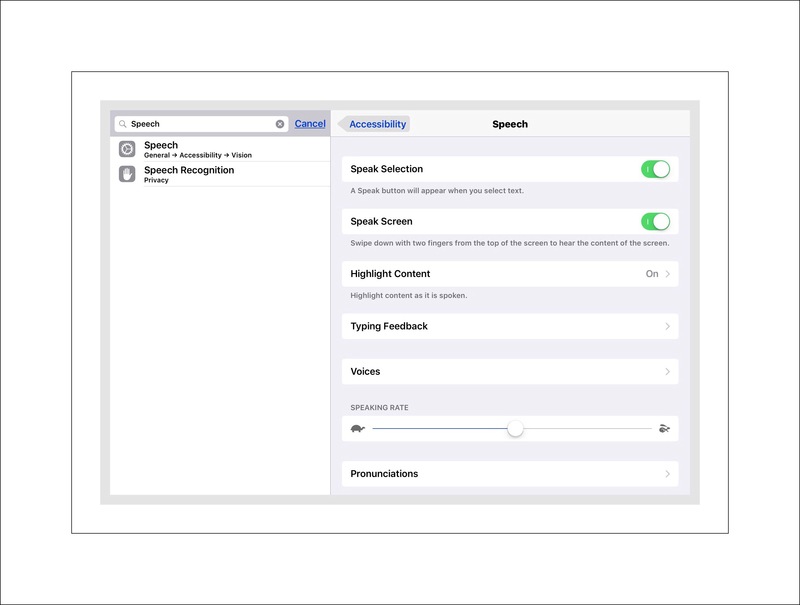 This entry was posted in ios, ios apps, iPad, iPhone and tagged help Siri learn to speak, Help Siri spell, improve Siri, Siri, Siri dictation tips, Siri pronounciations. Bookmark the permalink. This is a great feature. Is there a phonetic guide for the “Substitution” field? For instance Siri gets “Schloss” right, but can’t handle “WSchloss.” Says it can’t find a substitution. I pronounce it “DoubleYouSchloss” not “WuSchloss.” How can I get her to say that correctly? Thank you. Update, problem solved. Still submitting as it may be instructional for others. I just typed “DoubleYouSchloss” into the phrase field, she got it right the second time, then I typed wschloss into the phrase field and saved. That seems to have worked OK. Still interested in phonetics guide. I doubt Apple reinvented this, they must use the same as OED or Webster or some such, but which? Thanks for your great comment. One question I have is…when saying ‘doubleyouschloss’ are you trying to dictate to get that word/name typed in for you? I agree completely that spelling while dictating is frustrating and I haven’t yet found a way to dictate well yet spell out words that Siri would get wrong otherwise. The result is complete garbage…worse than you’d expect. But if there was a name or word you wanted to use repeatedly I’d use the keyboard shortcuts in Settings and make a shortcut I can use to enter the word. I’ve not tried that with dictation though. An example…when I type the word Apple…this  appears in its place. I just tried dictating the Apple shortcut but it doesn’t work in spoken mode. Disappointingly, reverse doesn’t work. When I go to email or messages, hit microphone, and say “DoubleYouSchloss,” expecting her to type “wschloss” she does not, but instead barfs. I searched for an online “phonetic translator,” for lack of a better term, but was unable to find any that worked well at all—that includes translate.google.com. I have some phonetics in my contacts. I can’t tell which “over-rides” the other. I think perhaps those in contacts should be removed and all should be instead in settings? I wasn’t sure of the answer to this until now. If you look at the section I added today called ‘Update: October 2017’ you’ll find a link to another blog where they discuss the ‘Contact’s’ workaround you’re using. I wasn’t familiar with it…but based on that I’d say leave the contacts as they are and try the new technique I added in the lower part of that section.